I feel terrible after seeing this picture. 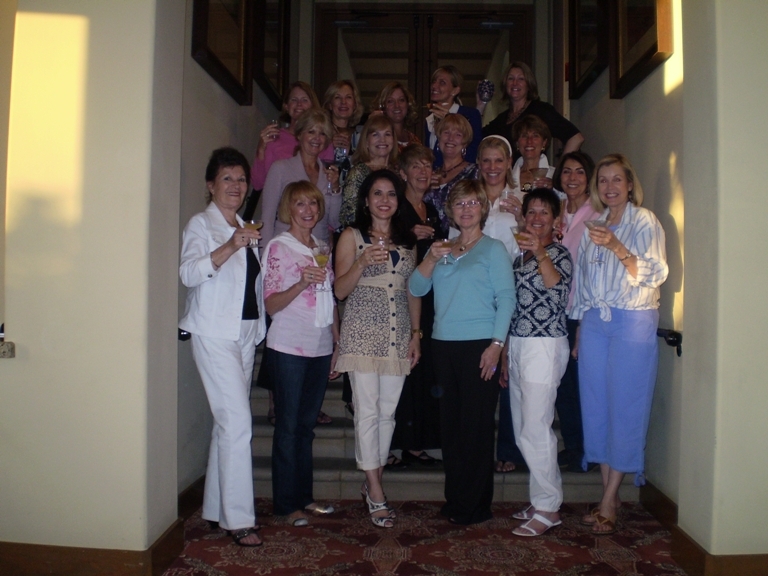 So... my best guess judging from the color of the martini and the smiles on the faces of these lovely women is that it was the Headwater High. Whatcha say, ladies? I also had to laugh when the gals said they were looking forward to my next book, Porcelin Inspirations. (If you don't get the joke, you haven't read QUEEN and what have I told you about that? Geez). One of the ladies asked about the nudist RV park. As I told the group, it's not far from where they live... could that be the reason for the question? Another interesting question I'd never gotten before was if Wal-Mart , aka Chez Sam, charges for the privilege of parking in their lots. Answer: Don't give them any ideas. Marilyn is apparently one busy lady: She's in two book clubs, and prior to this one's meeting, already arranged for me to call in to her other one. Marilyn - if you'd now like to change your mind, I'll understand. Thank you for calling into our Book Club session. We enjoyed hearing all your witty answers to our questions. I loved your book "Queen of the Road", and look forward to any new books coming my way. I was drinking "Fire in the Hole". Very tasty drink. Having a drink at each chapter was genius. I'm the one in the blue blouse in the front row. Fire in Hole? Really, Kay? That's probably the stiffest one in the book. I've VERY impressed! Thanks so much for your kind words on QUEEN. They are even organized in their photo and nicely posed! Did they have a professional photographer do the pic? This page contains a single entry from the blog posted on June 23, 2009 4:41 PM. 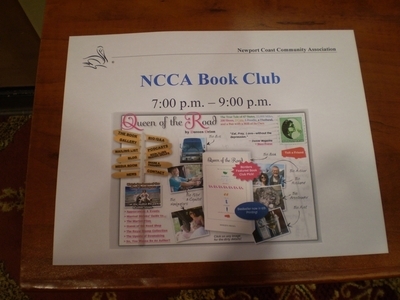 The previous post in this blog was Book Club Connections. The next post in this blog is A Boulder Book Club.